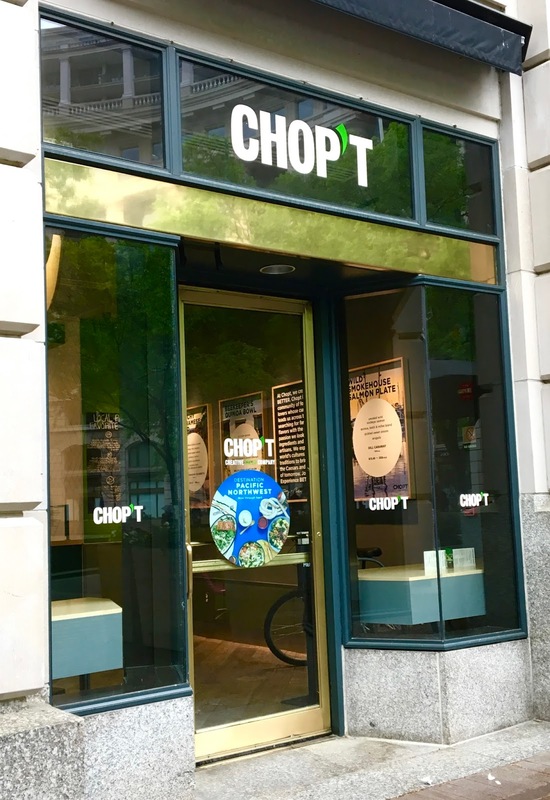 I looked at Chopt's allergy-free menu right here before visiting to make sure I knew what I wanted to order. Because of the shared chopping board used for salads, I also made sure that I arrived right when the restaurant opened so that my salad was made on a clean surface with fresh ingredients. Chopt is not 100% gluten-free, so I definitely raise a red flag about visiting during busy hours or midway through the day. The staff member who helped me was knowledgable about ingredients, confirming my choice as safe and offering to change his gloves before preparing my salad. However, it does contain garlic. I loved the freshness and vibrancy of the flavors. The salad was definitely lettuce-heavy. I would have appreciated more of the black beans, avocado, and tomatoes. Tortilla chips gave the blend a nice crunchiness that was a textural contrast. 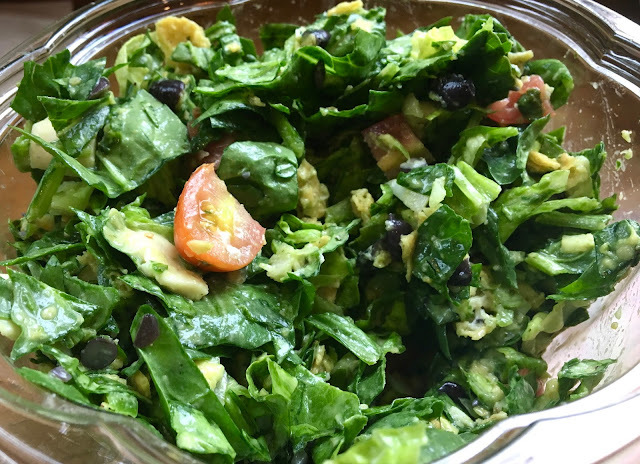 The dressing was bright and tangy, pulling all the ingredients together with pizzazz. The dressing plus the jalapeños do pack some serious spiciness, but I like a little heat so I didn't mind. Just be prepared with a beverage near by to tame the burn. I really like Chopt, but in my opinion it can get lost in the crowd of DIY salad places popping up these days. The slice-and-dice preparation is unique, but a danger zone for cross contamination so be sure to ask questions and let the staff know your dietary needs. Next time I will probably order a custom salad versus their suggested blends, but it was nice to have a vegan option that I could request without being perceived as "picky."